Next fall’s schedule features Laguna playing four schools for the first time. Opponents are listed with enrollment and series history. Breakers were 5-6 last season, but finished second in the Orange Coast League to advance to the Division 12 playoffs. In the new four-team football league, only the top team is guaranteed a playoff spot but some playoff divisions will have room for second place teams as Laguna found out the past two seasons. Breakers will be playing Dana Hills for the first time in 29 years. 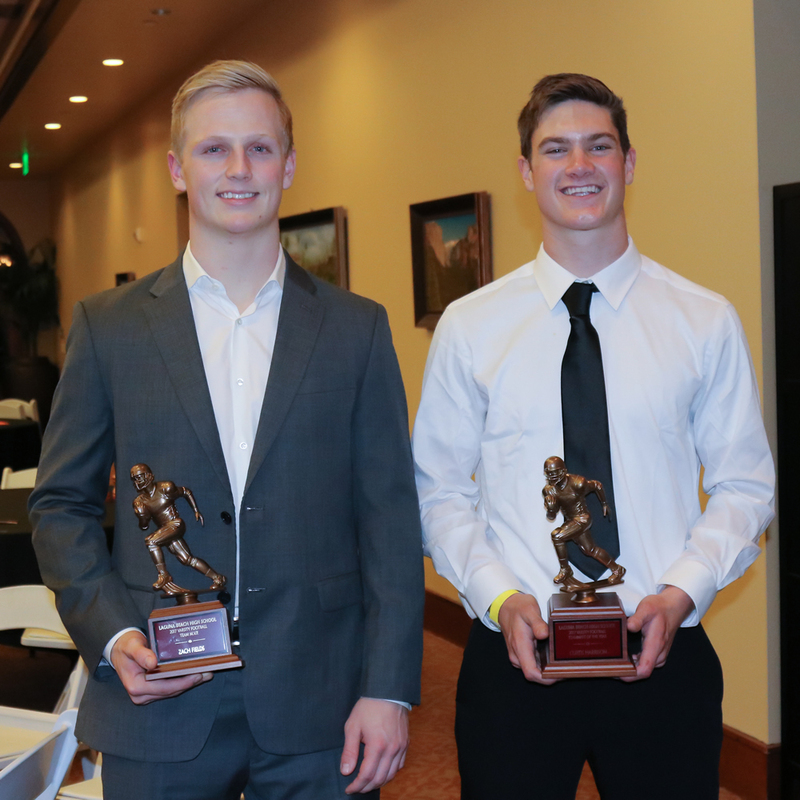 Seniors Zach Fields, left, and Curtis Harrison were the top honorees at the 84th annual Laguna Beach HS Football banquet held on Tuesday, Jan. 9. Fields was the named the 84th annual team MVP and also was lineman of the year by the Orange Coast League and the team’s top scholar athlete.